I recently experienced a catastrophic tire blowout. I am 100% confident it was not due to low tire pressure (according to my tpms). 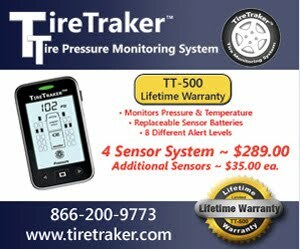 My tpms did not alert me to an overheat or pressure issue. I was only 35 miles into my trip. It alerted to the blowout 3-5 seconds after the blowout, but I had already heard the pop and saw tire and fender shrapnel flying in my side view mirror. It was passenger front tire on trailer. Tires are approx three ears old, around 5000 miles on them. We are weekend warriors plus 1-2 1000 mile trips per year. Rig sits 2-4 months of the year under shed cover with covers on tires on gravel. Before I go in to details on rig and such, would you be willing to give me your opinion as to the cause of the failure? I have my suspicions but I'd like to hear from an expert. I put the spare on and finished my trip and am sitting at ocean lakes family campground in Myrtle beach. Can take pics/video and provide whatever data you need. Here's a couple of pics if it helps sway your decision. 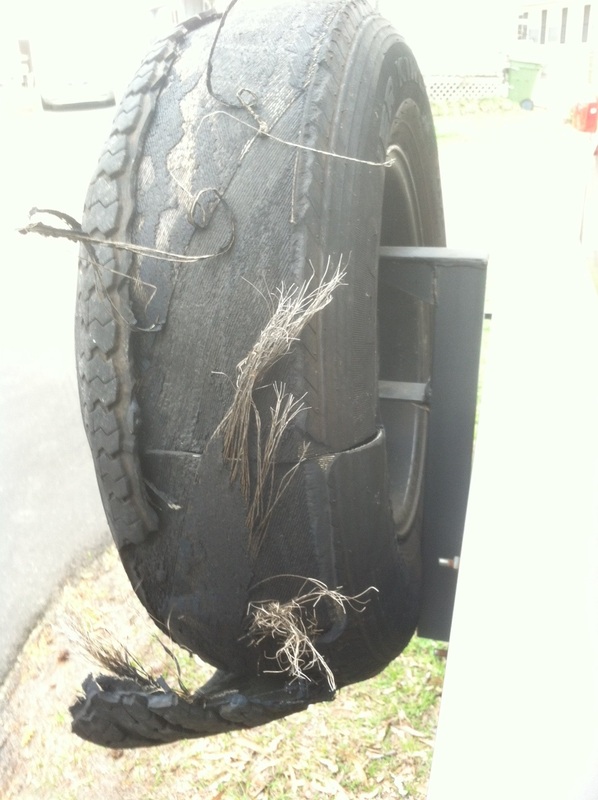 Here are the pictures he sent of his tire. Now many of you might think these are sufficient but for me to provide a better more accurate opinion of that went wrong I really do need better pictures. In this case it was too late to get better pictures as RW informed me that he didn't have room to save the tire till he got home. The tire did not suffer a "Run Low Flex Failure" or what is normally called a "Blowout" by a non-tire engineer. 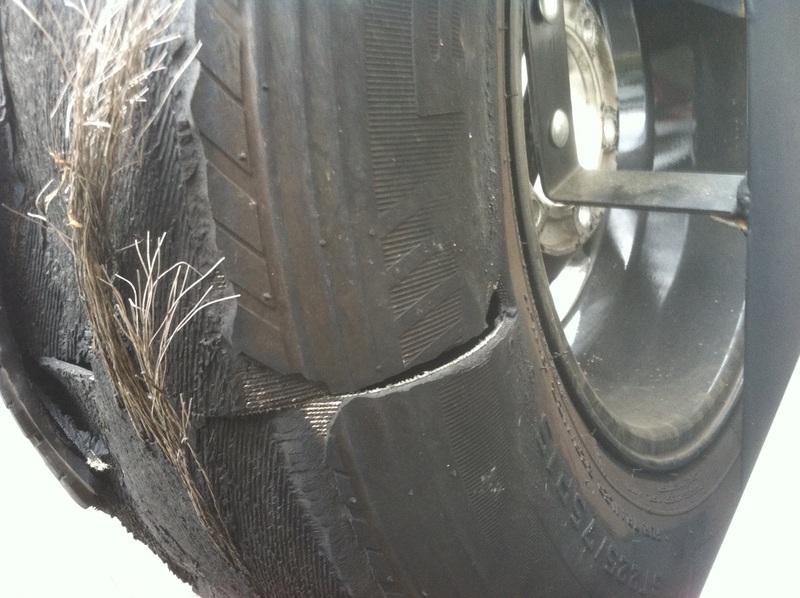 The condition of the tire is more accurately a Tread or Belt Separation. The air loss came after the belts and tread had already separated from the body or carcass of the tire so that is why the TPMS did not provide any warning. I did inform RW that the pictures were not close enough or of high enough quality to allow me to zoom in to see the details needed for me to establish a reason for the failure with a high degree of confidence but I did provide some comments. 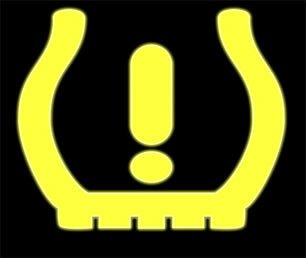 A tire suffering a Tread Separation is simply not going to generate high enough temperature to trigger the TPMS. It appears that this tire possibly suffered from some manufacturing or chemical problem as there are large amounts of steel cord with no rubber adhering to the steel cords. This could be because the tire had started to separate many miles prior to the external failure and the rubber was abraded from the steel cord. I would need to do microscopic examination to confirm this diagnosis. 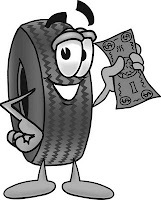 I suggested that RW review the "Free Spin" tire inspection process that I outlined in my post on How to Inspect tires and in the post Why Blowouts are of special concern. I also suggested that he include the Free Spin inspection procedure at least once a year so he would improve his chance of discovering an impending tire failure in the future. A side comment about retaining the tire. If RW had wanted to file a warranty claim with the RV dealer or tire company he would need to be able to produce the tire for examination. It would also have been a good idea to be sure he had recorded the complete DOT serial and file a complaint with NHTSA for without complaints there will never be an investigation or a possibility of a recall or an improvement in the quality of tires produced for the RV market.